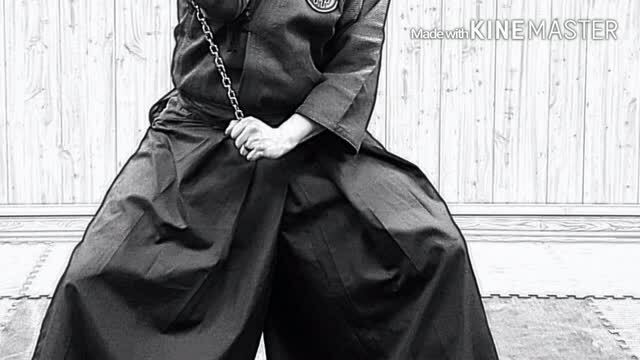 Shidoshi Jeremiah has been training for over 15 years in traditional Samurai and Ninjutsu martial arts. Being led to a website in his early 20s, he sought out authentic teachers of the ancient Ninja arts which led him on a journey across the United States, and Japan. Having trained with some of the top masters from around the world Jeremiah Sensei has a unique blend of teaching traditional kata forms, with a modern application. He is the head instructor and the DojoCho (Chief Operator) of YTMA. Sensei Fred was inspired early in life by the Ninja Boom of the early 80s. As a fan of martial arts he started training in HwaRangDo and later discovered authentic Ninja Taijutsu. He currently holds the rank of 'NiDan' (2nd Degree Black Belt) in the Bujinkan Budo Taijutsu, and teaches some of our advanced level classes. Sensei Joe first came to us when his son joined our Little Ninja program. In the Dojo he felt a connection that agreed with his own pursuit of knowledge and personal growth. He has since went on to open his own Dojo, but moved back to Yakima on a job transfer. He holds the rank of NiDan (2nd Degree Black Belt) in Bujinkan Budo Taijutsu. He currently teaches our Water Class. Sensei Stefano was an original student at our 1st location. Having been inspired to study Ninja martial arts after seeing a video, he quickly became a core member of YTMA. He currently holds the rank of Nidan (2nd Degree Black Belt) in Bujinkan Budo Taijutsu. He is the instructor for our Advanced Little Ninja, and teaches special classes on Shurikenjutsu (Ninja throwing weapons). Sensei Scott decided to join Dojo after many years training in other martial arts and SAS training. He tried out our Kenjutsu sword class and connected to the art. He currently holds the rank of Shodan (1st degree black belt) and is well versed in our sword program. Scott is also a local school teacher and is nationally certified. He heads up our Fire Class and has been a wonderful addition to our team. Sensei Dani in an original student of YTMA and a major contributor to our Jr. and Adult Ninja programs She grew up fascinated by Japanese culture and after she took a trial class, found what she had been looking for her entire life! Specializing in working with young Ninja, she communicates this art well with them and is a bedrock of our school. She currently holds the rank of Nidan (2nd Degree Black Belt) in Budo Taijutsu. Sensei Lilly is Sensei Jeremiah's wife and an integral part of the Jr. Ninja program. Seeing the need to become a protector after having children, she started her martial training and was one of the first students of Yakima Taijutsu. She currently holds the rank of Shodan (1st Degree Black Belt) in the Bujinkan Budo Taijutsu, and title of Assistant Instructor of the Little Ninja program.